Francis Xavier, the renowned and revered Jesuit missionary who is most famed for his efforts in spreading Catholic Christianity in Goa of India, Malacca of present-day Malaysia and Maluku and Ambon Islands of present-day Indonesia, is commonly hailed to this day as the “Apostle to Japan.” Indeed, being the first missionary of his era to introduce Christianity to a land where the gospel was literally non-existent, Father Xavier paved the way and laid the bare foundations for subsequent missionaries to propagate the gospel in the Land of the Rising Sun. The works and travels of the great missionary, from Kagoshima to Funai, have been covered in the previous parts of this article. After his departure from Japan in November 1551, Francis Xavier’s role of being the Mission Superior, or the head of the Jesuit mission in Japan, was taken over by his loyal companion, Father Cosme de Torres. If you recall what I’ve written in Part 2 of this article, you’d remember that Father de Torres stayed in Yamaguchi to care for the Christian community and to propagate the gospel there after Father Xavier’s departure from that city. Despite a rebellion against Ouchi Yoshitaka which placed Father de Torres, Brother Fernandez and the Yamaguchi Christian community in peril, both the missionaries were able to escape to safety. The rebellion resulted in Ouchi Yoshitaka committing harakiri, thus the Christian community there lost their main protector and patron. For a brief period after that, it seemed as if all hope had been lost for the young and growing Japanese Christian community in Yamaguchi. Thankfully, things soon changed for the better after the rebels decided to select Ouchi Yoshinaga to succeed Yoshitaka as daimyo. Yoshinaga continued ensuring protection and patronage for the Jesuit missionaries and the Christian community in the city. As a result, Christianity could still flourish in Yamaguchi. While staying in Yamaguchi, Father de Torres managed to baptize more than 2000 people, besides building the first ever church in the city. He was always compassionate towards the poor and needy in the city, ever willing to give up even his life savings to help them, regardless of whether they were Buddhists or Christians. Nonetheless, Father de Torres could only remain in Yamaguchi until 1556, after which Yoshinaga was defeated and the city was taken over by Mori Motonari (毛利元就) (1497 – 1571), a daimyo controlling a neighbouring domain. Motonari was undoubtedly against Christianity, thus Father de Torres was left with no choice but to leave the city and head towards Bungo Province, which was the domain of Otomo Sorin. (Recall that I’ve mentioned Otomo Sorin in Part 2.) 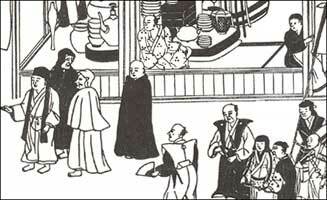 Sorin was the last daimyo whom Father Xavier met in 1551 before he left Japan. Sorin was also supportive of having Catholic missionaries preaching the gospel throughout his domain. 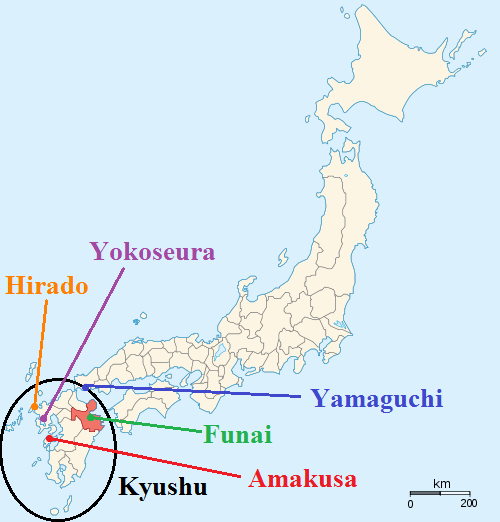 Kyushu is the southwestern-most island of Japan. During Father Xavier’s era, Kyushu and the archipelago of smaller islands surrounding it were collectively known as the Saikaido (西海道) region. In all of Japan, it was this region in which Catholic Christianity attained the most reception during the era when Jesuit missionaries were active in the Land of the Rising Sun. 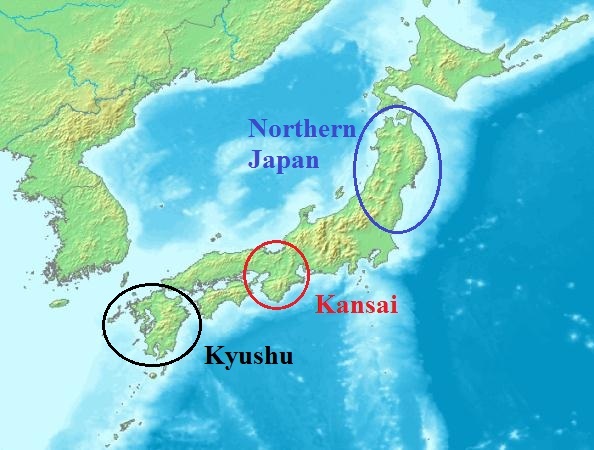 Missionary activities in Kyushu had long begun since Father Xavier’s arrival in Kagoshima in 1549. After his departure from Japan in 1551, Father Xavier made explicit requests to the Jesuit missionary centres in Goa to send more missionaries to Japan in order to spread the gospel and care for the newly established Japanese Christian communities there. Indeed, there were many missionaries who responded to this call in the decades to come. Nevertheless, it is impossible for me to cover each and every one of them here, so I’ll only be introducing to you a few prominent ones in this part of the article, namely Fathers Balthasar Gago, Gaspar Vilela, Louis Frois and Alessandro Valignano. Fathers Balthasar Gago, Gaspar Vilela and Louis Frois were among the earliest missionaries to respond to this missionary call to Japan. Father Balthasar Gago (1520 – 1583), who was born in Lisbon, Portugal, was the earliest among the three, whereby he first landed on Japanese soil in August 1552, in Kagoshima. 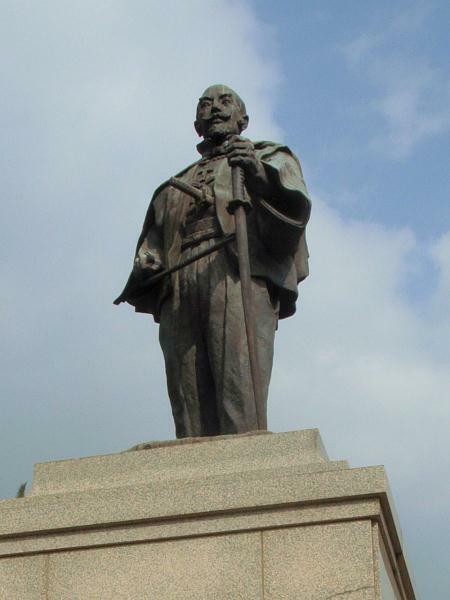 Father Gaspar Vilela (1525 – 1572), who was born in Avis, Portugal, reached Funai (present-day Oita) in 1556, whereas Father Louis Frois (1532 – 1597), who was also born in Lisbon, arrived at the port of Yokoseura (横瀬浦, Yokose-ura) in 1563. Now that I’ve introduced you to these three missionaries who tirelessly and painstakingly gave all their best to propagate the gospel in Japan, I will now cover each one of them in separate sub-sections to make it easier for you to trace their footsteps in Kyushu. But first, let us finish tracing Father de Torres’ footsteps. As I’ve mentioned earlier, Father de Torres had no choice but to move to Bungo Province after Mori Motonari, an anti-Christian daimyo, conquered the prosperous city of Yamaguchi. 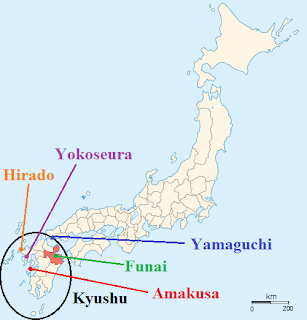 Father de Torres’s moving to Bungo Province also meant that the centre of Christian activity and propagation in Japan now moved to Funai, the capital of the province. Whilst in Bungo, the daimyo of the province, Otomo Sorin, was pleased to provide whatever assistance he could to encourage the spread of the gospel in his domain. One of Sorin’s greatest contributions was to provide a piece of land and a residence for Father de Torres and the Jesuit missionaries. The residence was used as a centre for Christian activity, where many people came to hear Father de Torres preach and to ask various questions. The piece of land, on the other hand, was used to build a missionary-run hospital that attended to many patients in the region, regardless of religion. As far as the Christian community in Bungo was concerned, Father de Torres was particularly concerned about education for the Japanese Christian community there. He did much in order to ensure that the Christian community received adequate education with regards to their faith and culture. In order to familiarize the Japanese Christians to the Bible, he frequently organized classes and shows; whereas for Christian children, he organized classes in which the children could not only acquire knowledge about the Bible and their faith, but also learn how to read and write fluently in the Japanese language. Father de Torres, being the head of the Jesuit missionaries in Japan, always tried his best to ensure that Christian communities throughout Japan were given adequate spiritual guidance and pastoral care wherever possible. One instance of this was regarding the fact that the Japanese Christian community in Hirado, which I’ve mentioned in the preceding part of this article, was left without any pastoral care for a few years after Father de Torres’ departure from that port-city in 1551. Hence, in 1555, he sent Father Balthasar Gago, followed by Father Gaspar Vilela in 1558, to tend to the spiritual needs of the Christian community in Hirado. (I will be covering more about this as you read further.) When a riot broke out in Hirado shortly after, which resulted in the expulsion of all Jesuit missionaries from the port-city, Father de Torres sent the Jesuit missionaries out to explore other regions in the vicinity where the Jesuits could establish another centre for Christian activities, and where Portuguese trade ships could anchor for trading. 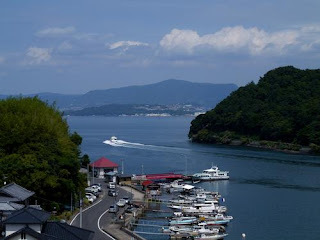 Eventually, the port of Yokoseura was found to be most suitable. Yokoseura was situated within the domain ruled by the daimyo Omura Sumitada (大村純忠) (1533 – 1587). Sumitada, who had earlier read a book on Christianity by Father Vilela and was impressed by it, willingly granted the permission for the Jesuit missionaries to propagate the gospel freely throughout his domain, besides offering the port of Yokoseura for Portuguese traders and Jesuit missionaries to carry out their activities. Perhaps one of the most prominent achievements throughout Father de Torres’ life as a missionary in Japan was the conversion and baptism of Omura Sumitada, who thus became the first ever Christian daimyo in Japanese history. 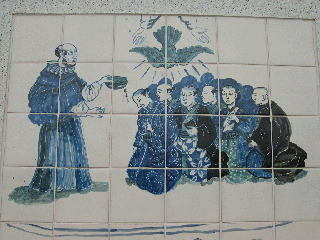 In 1563, several years after the Jesuits began propagating the gospel in Sumitada’s domain, the daimyo himself, along with many of his subordinates, came willingly to Father de Torres to seek baptism, subsequently stabilizing the status of Christianity further in the Omura Domain (大村藩, Ōmura-han) and Kyushu in general. Father de Torres died in 1570 in Amakusa (天草), leaving behind a great legacy, in which he was said to have baptized approximately 30,000 Japanese and established over 50 churches and some mission schools throughout the Land of the Rising Sun.